Tranquility is beautiful and soothing with a cool color palette of grey and sky blue. 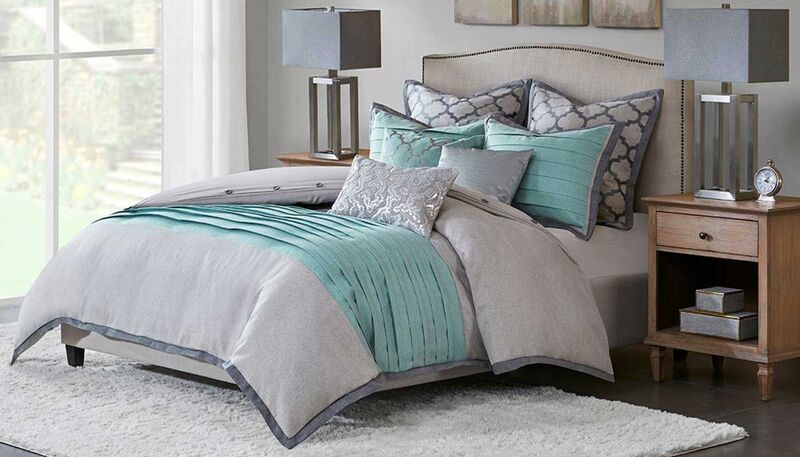 The comforter set features a herringbone texture accented with a bold pleated band of sky blue. The euro shams features a beautifully embroidered Moroccan-inspired tile pattern. 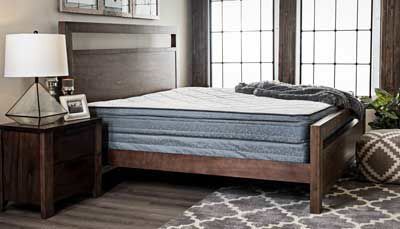 The collection includes a comforter with a removable insert and decorative buttons for a secured fasten, two coordinating standard shams, two euro shams, and three embellished decorative pillows.